Students will be able to apply the principles of electronic circuits and devices to the use and design of instrumentation in the biomedical area. They will have gained a basic knowledge of the operating principles of electrical and other transducers, analog and digital instrumentation, applied signal acquisition and processing, electrical safety in the medical environment, electrical properties of nerve and muscle physiology; and instrumentation used in cardiopulmonary, neurological, surgical, and rehabilitation areas of medicine. 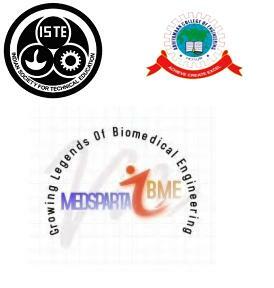 A National Level Techno Carnival on February 15, 16 on Biomedical Engineering.